He studied a Graduate Diploma in Viticulture and Oenology, again at Lincoln. He also worked various jobs and harvests in Central Otago, Marlborough, Oregon and Alsace, on the France/Germany border, before joining Framingham wines in 2009 as assistant winemaker. 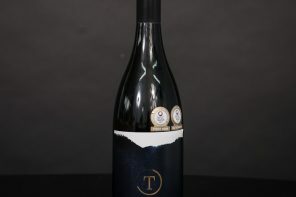 At Framingham, Brown worked under Dr Andrew Hedley, who he describes as “a true mentor and influencer, an absolute legend with his knowledge and leadership.”Under Hedley, Brown and his team were presented the opportunity to make every style of Riesling within the German Prädikat – “Getting all those wines painstakingly into the bottle was a mission, but a great project to be involved in.”Riesling has long been a favourite of Brown’s, due to its stylistic versatility. He held this position until late 2016 when he moved to Waipara Hills to take on the role of winemaker. 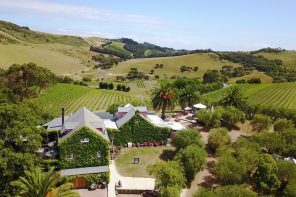 The Waipara Valley is nestled in the lee of the Teviotdale Hills, which provide protection from the cool ocean winds, but remains open to warm Nor’Westers. The north-facing, moderately sloping river terraces provide an ideal suntrap for grape ripening, and an abundance of sunshine throughout the summer combines with a cool, dry autumn to produce unique concentrated Rieslings and Pinot Gris – the regional specialities. The winery has also been a part of Sustainable Winegrowing New Zealand since 2001, and one of their key initiatives is to improve biodiversity, creating a natural environment where the vine is balanced with its surroundings. 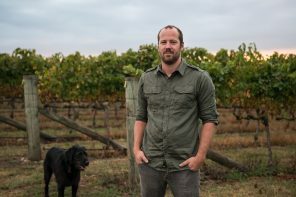 Having been in the role for less than six months, Brown is in no hurry to move on, claiming that getting the winemaker role at Waipara Hills is his greatest achievement in wine. 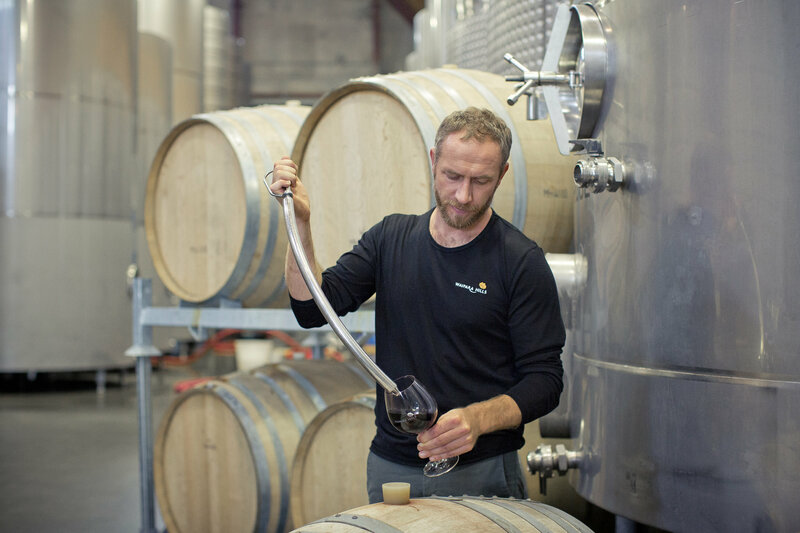 He is still familiarising himself with the vineyards and fruit at Waipara Hills and learning the lay of the land from Dufour and the viticultural team, but is looking forward to trialling new techniques, ferments and evolving his winemaking style along the way.